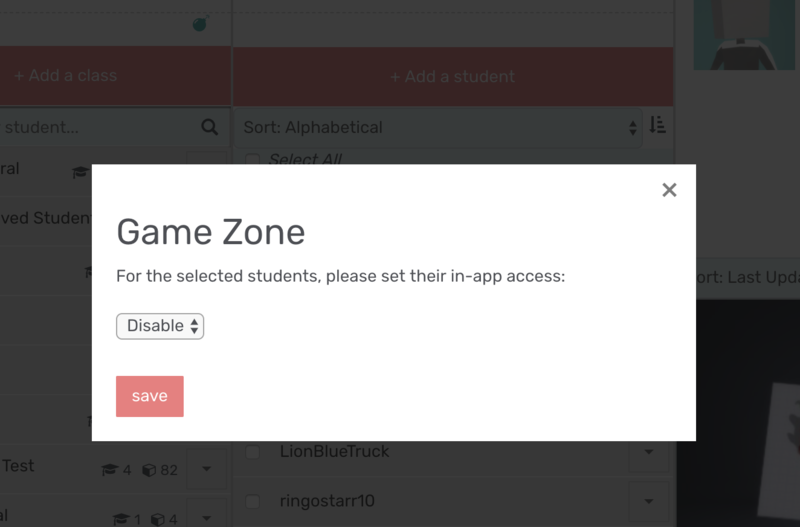 You can enable or disable the Game Zone in the Makers Empire 3D app for specific students in your class. By default the Game Zone is enabled, and it's an area where students can learn in a fun new way. 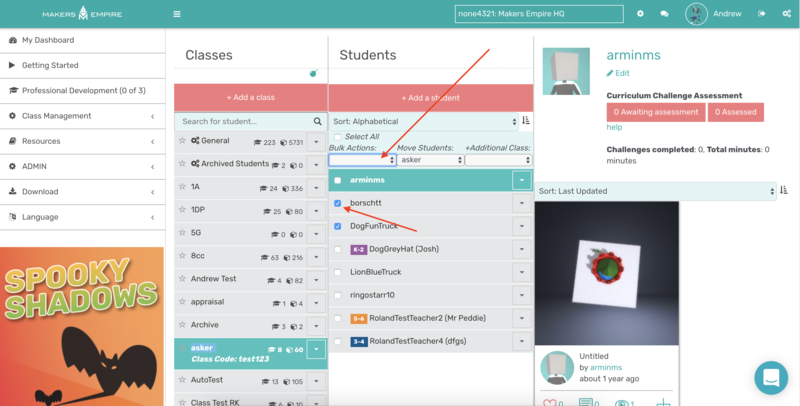 To disable the Game Zone for students, please visit the Classes page in the Teachers Dashboard. Select the students that you'd like to change and use the Bulk Actions dropdown to select Game Zone Access. When disabled, the Game Zone is closed during school hours (Monday -Friday, 9am-4pm) in that timezone. The user would then regain access when they use Makers Empire at home. If a student is in the Game Zone when their access becomes disabled they should get kicked out within the next 2 minutes.